Yoga Tank of the best quality specially selected for you. Super soft Maratika foundation tank top with beautiful Bumpa vase print on chest. 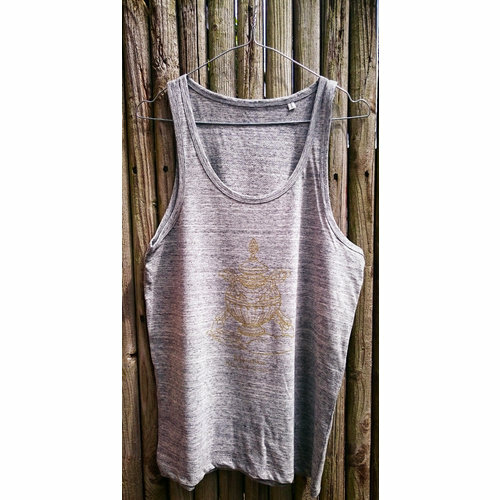 By purchasing this tank top you support the Maratika Foundation in Nepal. 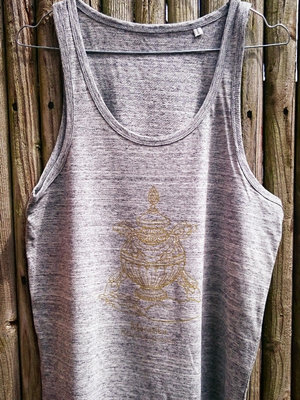 For men, we have this simple rib tank top, which is great for your basic yoga wardrobe. It has a perfect stretch and is suitable for any type of sport.